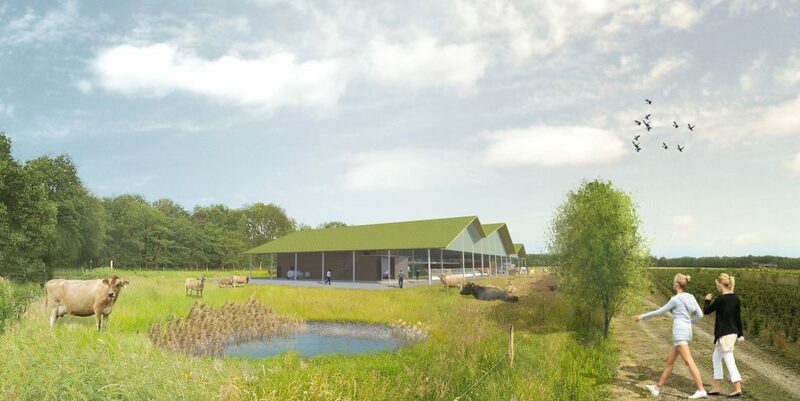 Sustainable, animal friendly barns well integrated into the landscape. Under the SBIR program (Small Business Innovation Research) the Ministry of Economic Affairs asked businesses for development ideas. Of 51 proposals received, three projects were selected, each receiving a contribution of 480,000 Euro. On June 3, the three winning consortia received a check from State Secretary Sharon Dijksma. With this money, a first prototype is to be built and the projects made market ready. 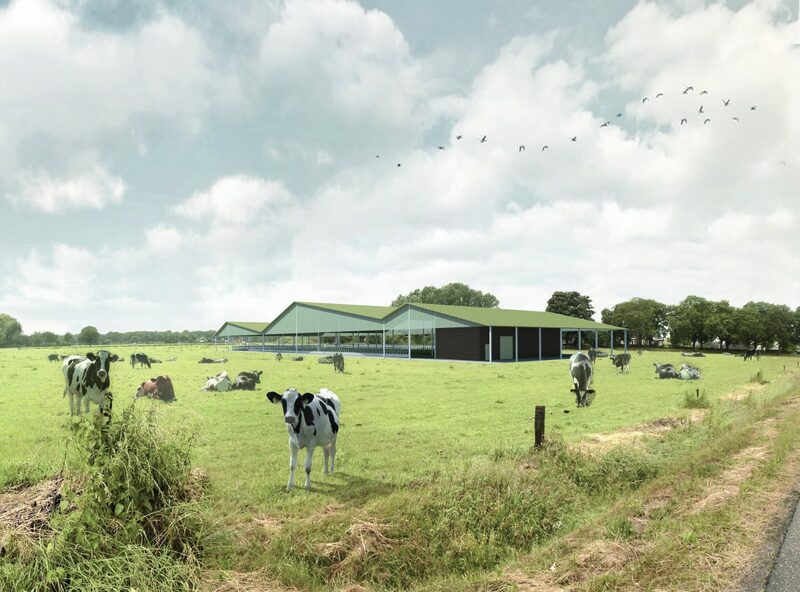 Vista is part of two of the three winning consortia and designed the landscape integration concept for both the Windstreek barn (for chickens) and Kwatrijn barn (for dairy). 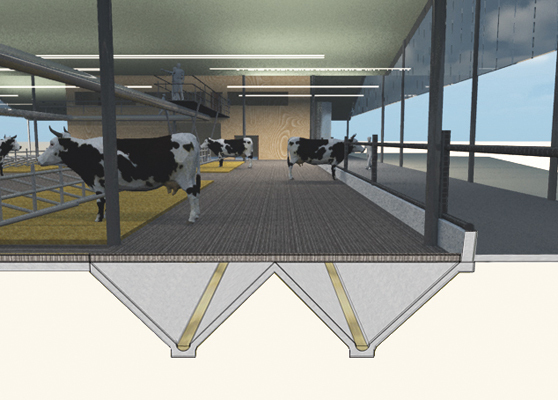 Recent public debate on the so-called ‘mega barns’ made the landscape integration a major concern in this SBIR round. Former Government Advisor for the landscape Yttje Feddes was for this reason part of the independent review committee of experts. 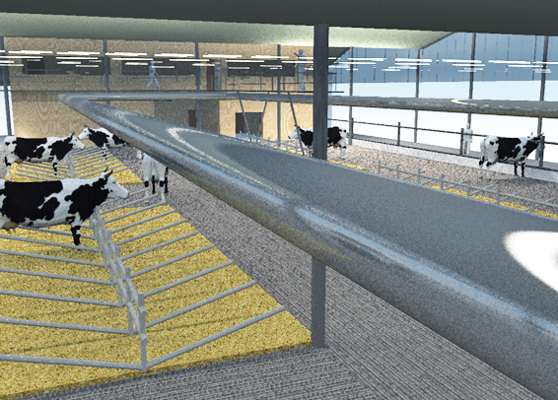 The Kwatrijn concept offers much more space per cow and is therefore larger than a traditional barn, but is rather less massive due to the transparent design and the unique articulated roof form. 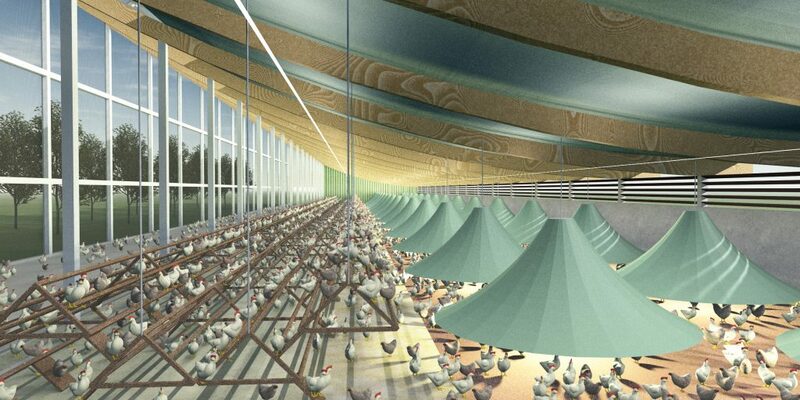 Developed by Vista, the roof shape is adaptable to the specific characteristics of the farm and the location. Solar panels are fully integrated into the roof elements. The transparent design means the horizon remains visible through the building, which helps the barn settle in open landscapes. 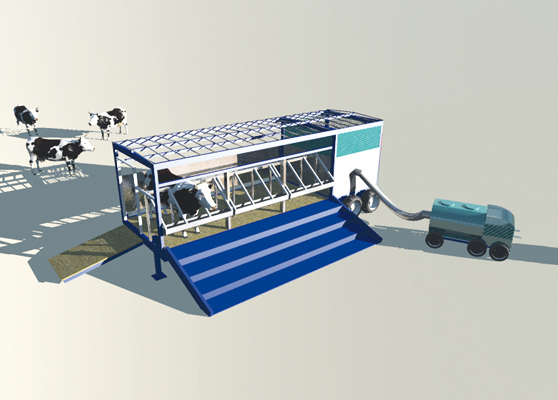 The innovative flooring system, which acts to separate solid manure and urine ensures emissions are reduced at the source. Vista works on kwatrijn together with consortium partners Swaans, JOZ, Van de Sande and Antonissen. Kwatrijn won a 480,000 Euro contribution from the Ministry of Economic Affairs under the Small Business Innovation Research programme. 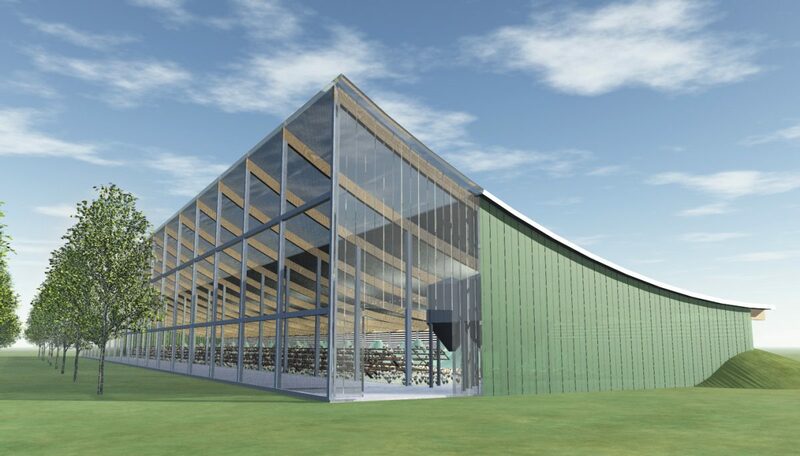 Striking features of the Windstreek concept include the curved roof and the open front which help the natural ventilation of the barn. The open front provides an interesting insight into the stable. Inside, specially developed “nursery lamps” provide shelter and warmth for the young chicks. 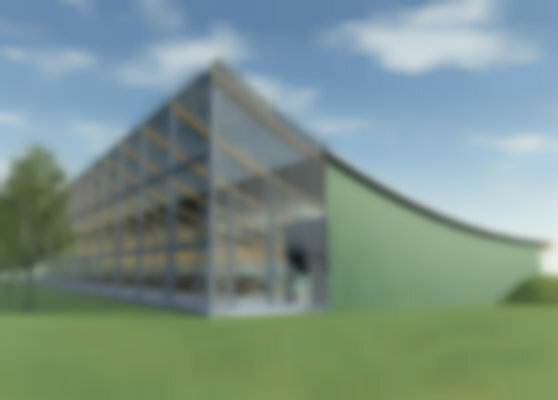 The combination of natural ventilation and lamps ensures a climate-friendly barn and extremely low energy consumption. 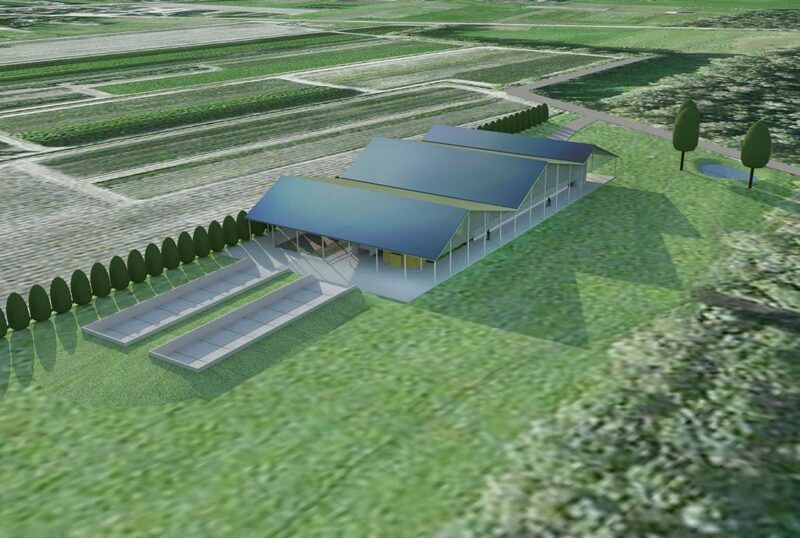 The orientation with low side to the wind and high side provided with protective tree planting helps connect the barn to the specific features of the local landscape. Vista works for Windstreek with architect Jasper van Ruth and consortium partners Plukon, Sommen, Nijkamp and Wageningen University. Kwatrijn won a 480,000 Euro contribution from the Ministry of Economic Affairs under the Small Business Innovation Research programme. 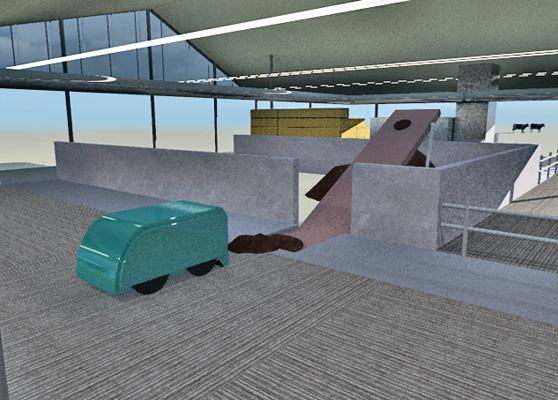 The design from Vista illustrates that functionality and appearance can work simultaneously. Both Windstreek and Kwatrijn are modern stables, with their own spatial expression and a special sensitivity to the landscape. 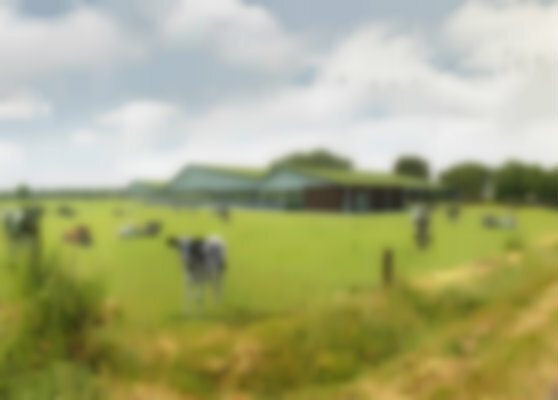 At the same time they set a new standard in the field of sustainability and animal welfare. These are not one-time niche products, but flexible systems widely applicable in the market. The SBIR contribution will enable the consortia to continue research and design development for the next two years towards a marketable product.